There are two types of bread that I adore. One of them is the croissant, which I was exposed to at a very young age. I share with you an anecdote of how my affinity for this flaky, multi-layered delight began. Among watching cooking shows when I was a kid, I also liked being on television shows. When I was 7 years old and in grade 2, I called into a local Canadian television studio to be on a show called “Video and Arcade Top 10”. I had no clue how to play videogames, and found myself playing Kirby with 3 other (male) competitors. What’s important is not the outcome of the game (I lost), but the events that took place in between episodes and commercial breaks. In between episodes, all the kids would be escorted to the studio audience where their parents sat. To get the crowd going production assistants would play games with us kids while parents watched on. However, my parents caught me being less interested in the games being played and more interested in the croissant the lady a couple of seats down from me was eating. To make the story short, a couple of minutes later a large bag of croissants was placed in front of me. Although the excitement of being on television was quite thrilling, I believe that it was definitely that bag of croissants that made my day. Heck, I think it made my month! I have had a lot of bad croissants in my life, and only a handful of good ones. So this fall, when I went to Europe, I realized that my quest for the perfect croissant would be fulfilled. 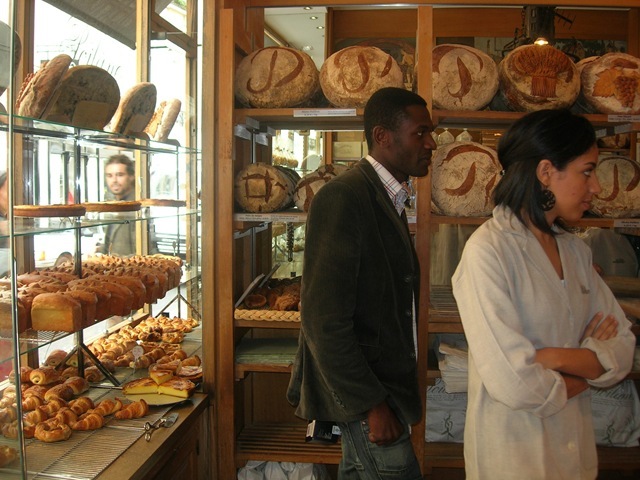 I had, within my itinerary, noted all the boulangeries and patisseries I had wanted to go to during my stay. However, what I quickly came to note was that 90% of the croissants that I ate in Paris were out of this world. They were light, flaky, crispy on the outside, tender on the inside, and had a heart stopping buttery aroma. The buttery strands of perfections not only melted in my mouth, but they melted my heart. 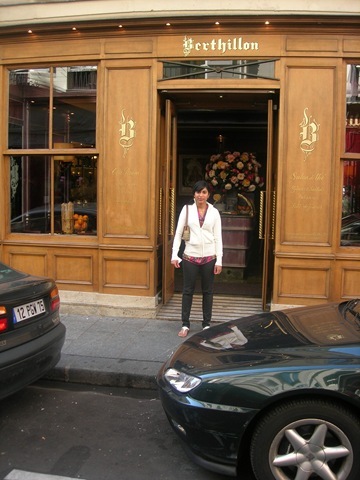 One of the best croissants I had during my time in the city was at the world famous ice cream shop Berthillon. They are known to have some of the finest ice creams and are critically acclaimed for their quality of product. In addition to their delectable ice cream sundaes, they serve the most perfect croissant. When tapped one could hear the crack of the croissant as it unveiled the beautiful layered, buttery shards of bread that lay underneath. It was simply divine. 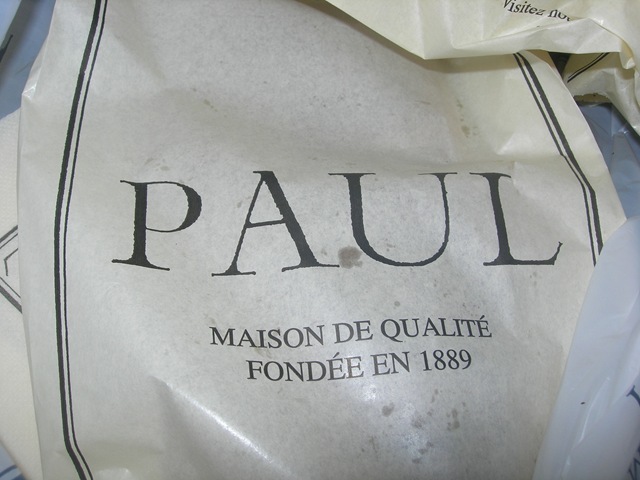 Another croissant that I happened to pick up while at the train station one morning was at Paul, a boulangerie with locations all across the world. Here I picked up a croissant, and a gourmandise. 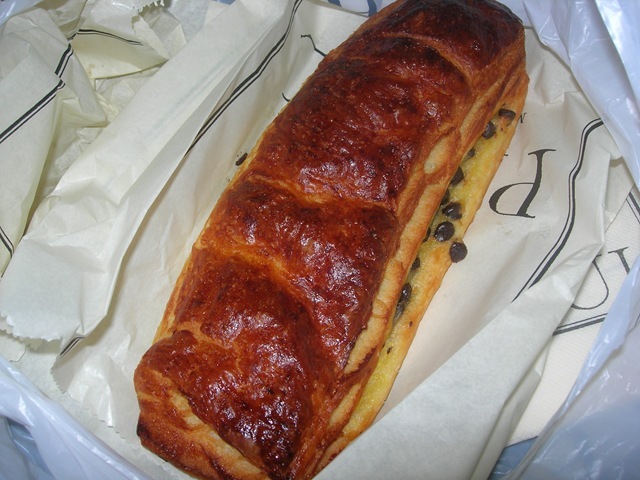 The gourmandise was made of the same dough as the croissant but was shaped differently and filled with chocolate chips. It made for the perfect breakfast! If only TTC stations were able to fulfill my hunger pangs the same way. 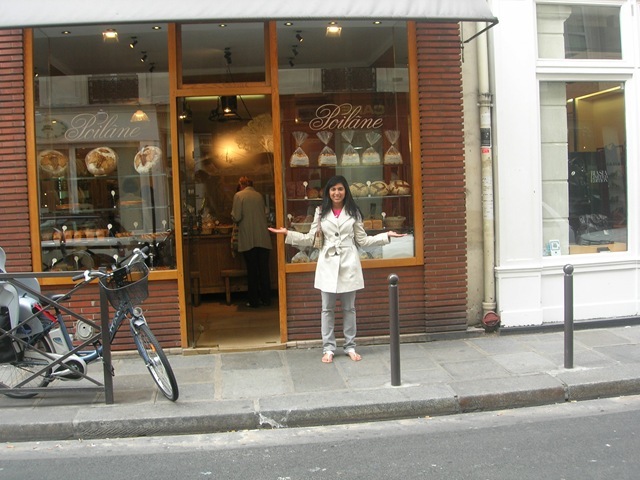 One of my last boulangerie visits was to the infamous Poilâne. 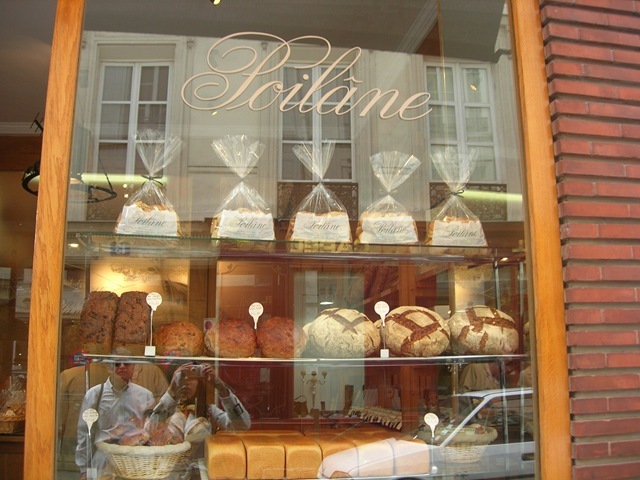 Poilâne is considered an institution in Paris. 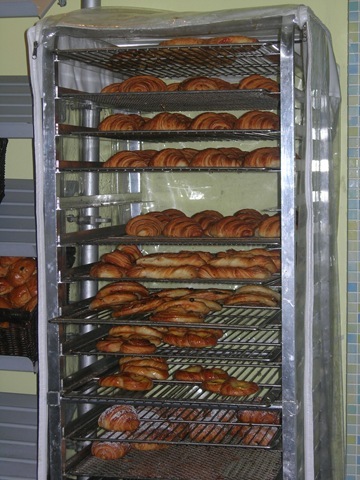 It is a critically acclaimed bakery, and many restaurants in the city use and serve their bread. 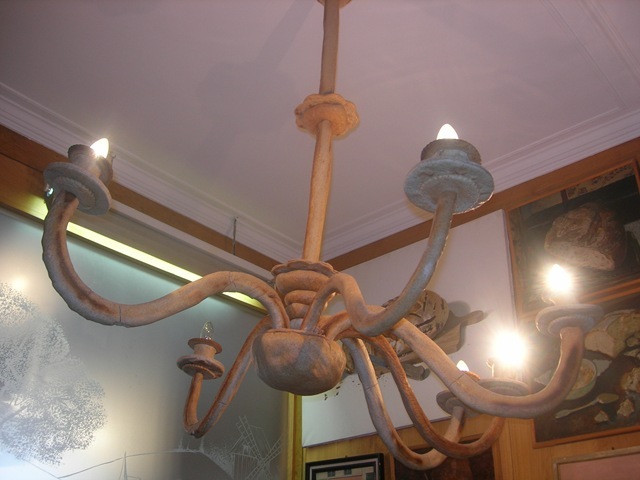 The place is so famous that Giada de Laurentiis visited it in an episode of “Tasty Travels” revealing their awe inspiring bread chandelier that they replace every few weeks. 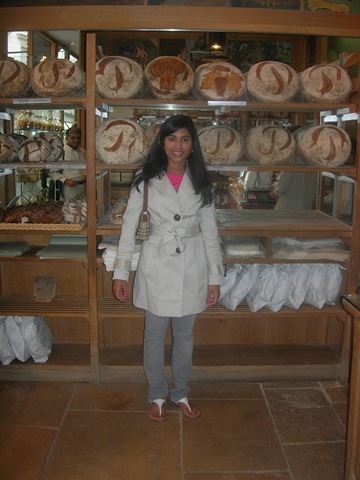 They also have an online business that ships out 40 Euro loaves pretty much anywhere across the world. So this place had a lot to live up to when I got there. There were a number of things to note about my visit to Poilâne. Firstly, after I placed my order for tarts, croissants, chocolate croissants, and pain au raisin, they rung up a total that was at least 15 Euro more than the total tab…good thing I noticed. Secondly, the girl that was helping me was quite nice but not knowledgeable when it came to the bread and what they were made of. Moreover the fact that she consistently scratched her head and bit her nails made my stomach turn, as she used those same hands to pack my treats. Lastly, and most importantly, those croissants were not the best, as many have claimed them to be. The croissants were tiny compared to competitors, and they lacked the necessary buttery punch that usual sends me to cloud 9. There is way too much hype surrounding Poilâne. Needless to say, with the exception of my Poilâne experience, I was pretty satisfied with my croissant encounters when I packed up and flew back to Toronto. My only plaguing fear was how I was going to fulfill my desire for proper croissants when I got back. Fortunately for me, through a lot of research, I found a lovely bakery around the Bayview/Eglinton area that was known to make Parisian inspired delights. When I sunk my teeth into a croissant at Rahier, I immediately knew that this was a product I could thrive off of until my next visit to Paris. At $1.50 each, these croissants are worth every penny. 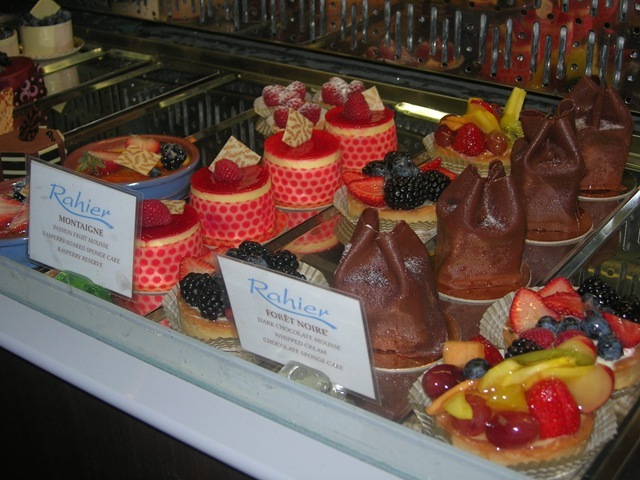 They also prepare excellent baguettes, cakes, and tarts that come close to rivalling their French counterparts. 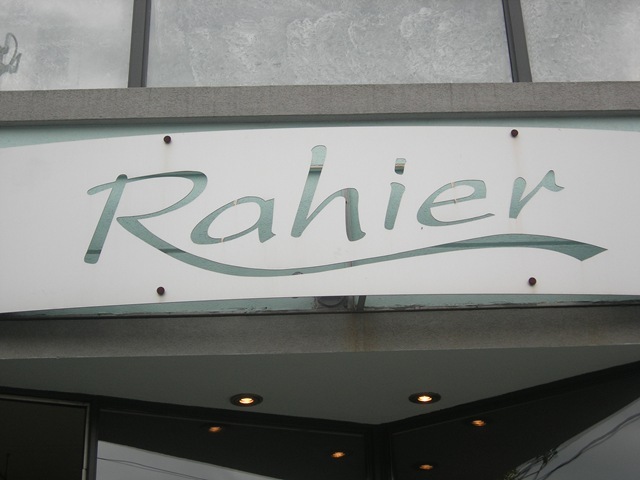 The next time you are in the Bayview/Eglinton area check out Rahier. You’ll be in for a “treat”. 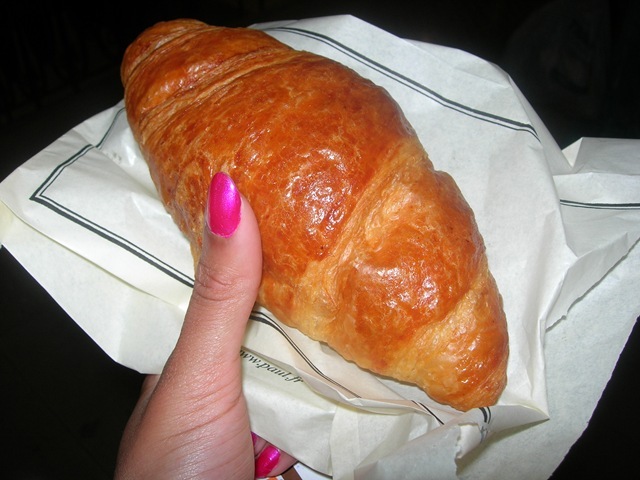 omggggggg, i miss Paris (and the croissants of course)! 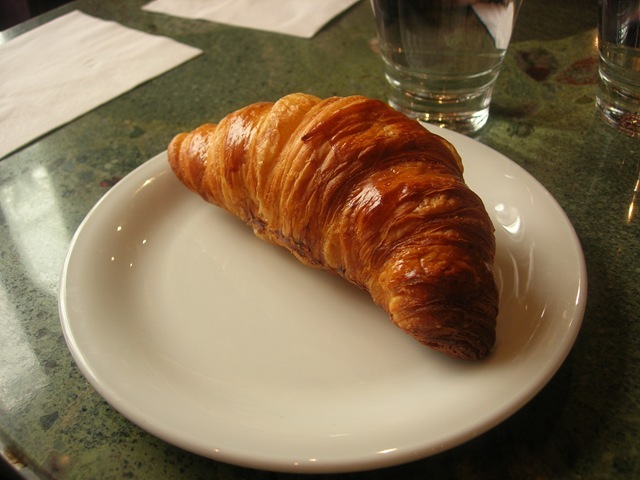 Okay… When it comes to croissants in this city, there are 2 places that probably have the best croissants in the city. You have to try the chocolate croissant at thobors, it is unbelievable. Thanks so much Deepthi! Finally took Foodcapades the concept, to a different level.